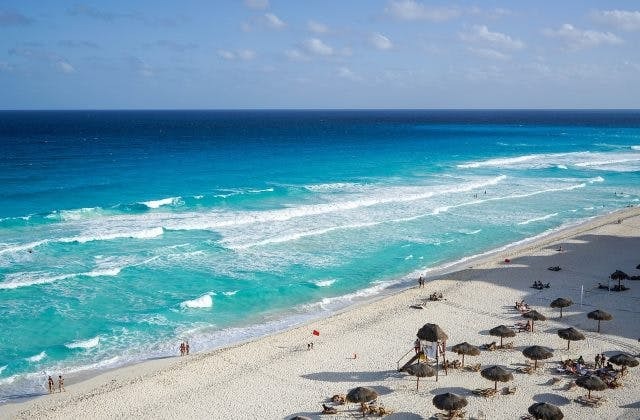 Cheap Flights to Cancun, Mexico. Return Flights. The Comfort Inn located at Carretera Cancn - Aeropuerto, Mz 4, Lote 5, SM 301, Central de Abastos, Cancn is the closest hotel to Cancun airport. The cheapest airfare to Cancun is $1,684 leaving from Brisbane on Virgin Australia. To Cancun, the longest flight is 65 hours and 37 minutes with Virgin Australia. Surprising my baby with a trip to Cancun for her birthday Flights and room booked I love her so much ? ?